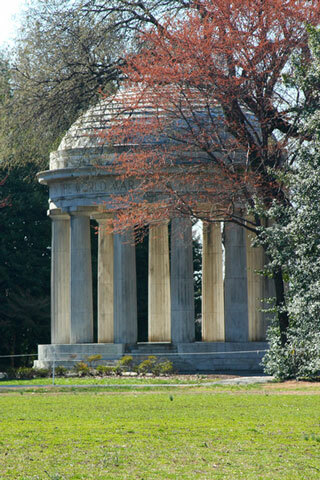 A stone World War I memorial in Washington, D.C. is photographed among the colorful white, green, and red trees. The landmark's architecture includes pillars and stone columns. Visitors may walk into the monument to reflect on those soldiers who fought for our country in World War I.